The staff here were some of the kindest people I met in South Africa! Great stay overall. This place is great if you want to relax and take it easy. Close enough to everything in a very cool colonial building! Very cool spot with one of the best hostel bathroom toilet views I've ever had of Table Mountain. Close enough to the action on Kloof and Long Streets but also far away enough to get a decent night's rest if you don't want to party. Great to have individual lockers for your bags in each dorm, clean beds and friendly staff. A fun bar area, well priced pool table and great swimming pool area to relax and chill out in! Would definitely stay there again myself and/or recommend it to others! Great location, very safe and good vibes. It has an on-site bar, swimming pool and kitchen. 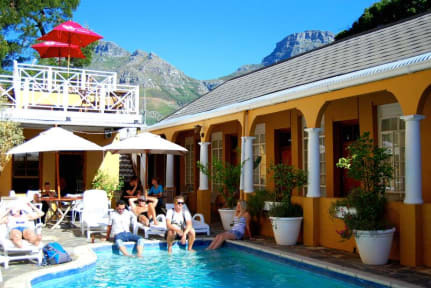 Everywhere in Cape Town is within easy reach by Uber and at the reception desk you can book all sorts of activites. Spent 5 nights in total in this hostel: 2 nights first, then I came back for 3 more after a few days. The swimming pool is great, the bar is good and I really liked how there was a BBQ area for guests. For me, the experience is mostly about the people you meet, though. I met some cool people, but obviously, people come and go. The location is good too, right next to Kloof Street and Long Street, but I stayed in Green Point after this, and preferred that part of the city to this one. One street away from Kloof Street. Good location to get arnd. Very disappointing. 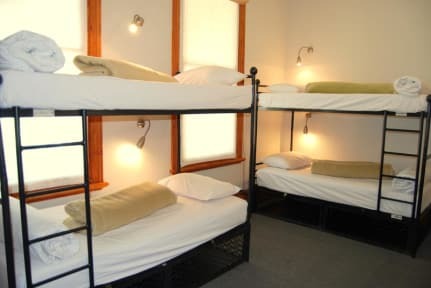 Very small single rooms.the "pool" is not good and no atmosphere at all. Very low value for money Not recommended!